Slowly the buzz surrounding Steven Spielberg’s new movie Ready Player One is growing. The adaptation of Ernest Cline’s novel was on SciFiEmpire’s ‘most anticipated’ list. Yet, the poor initial reception of the trailers made it feel as though Ready Player One would be quickly forgotten. Yet, with less than a week to go until the release in the cinema things appear to be coming together. The initial reviews form the consensus that the movie is not bad – even if it is not superb. Some criticism is levelled at the faithfulness of the adaptation. But that will be discussed in the review set for next Saturday. 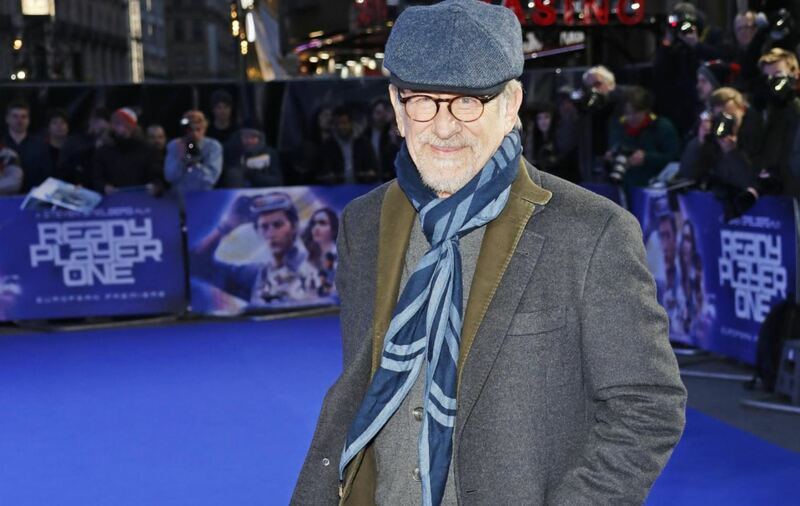 Until then we have to make do with these Ready Player One premiere photos taken in London. That’s is not so bad is it? In the year 2045, people can escape their harsh reality in the OASIS, an immersive virtual world where you can go anywhere, do anything, be anyone. The only limits are your own imagination. OASIS creator James Halliday left his immense fortune and control of the Oasis to the winner of a contest designed to find a worthy heir. When unlikely hero Wade Watts conquers the first challenge of the reality-bending treasure hunt. He and his friends–known as the High Five–are hurled into a fantastical universe of discovery and danger to save the OASIS and their world. Ready Player One stars Tye Sheridan as Wade Watts / Parzival, Olivia Cooke as Samantha / Art3mis, Ben Mendelsohn, Simon Pegg and Hannah John-Kamen. Below you can watch the last trailer for if you still need convincing. This was SciFiEmpire.net’s coverage of the Ready Player One Premiere event. Don’t forget to like or subscribe to not miss out on any updates or articles. Killjoys Episode 5 A Glitch In The System Review – Time for a mid-term for season 1.